To be in simple present + Subject pronouns and object pronouns. 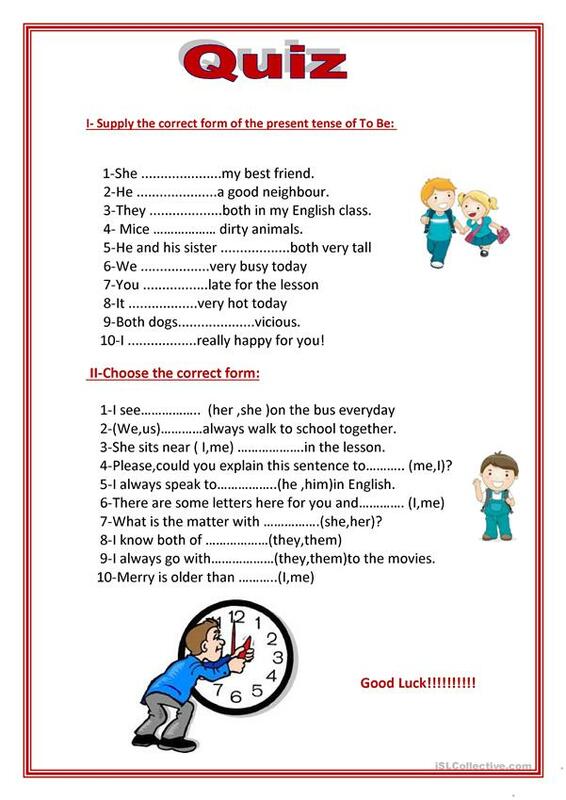 I- Supply the correct form of the present tense of To Be. II-Choose the correct form. This downloadable printable was created for high school students and elementary school students at Elementary (A1), Pre-intermediate (A2) and Intermediate (B1) level. It is aimed at consolidating BE (auxiliary verb) in English.